Copyright: Artists retain copyright to the submitted images and grant rights for promoting and/or advertising the Meitar Fund Photography Contest, or the Fifth and Sixth Israeli Photography Festival. An independent jury will select 20 photographers for the shortlist. These photographers will be displayed in a group exhibition at the Israel Photography Festival in November 2017. 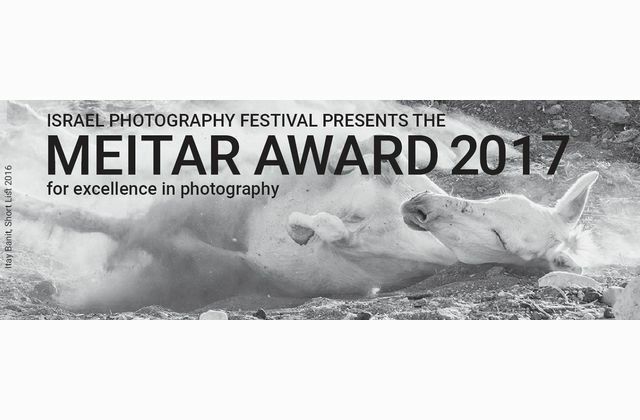 The winner of the Meitar Award 2017 will be selected from the shortlist and will receive a grant of $14,000, as well as a solo exhibition at the Israel Photography Festival 2018. You may submit one entry only. Online submission of digital photographs via the website. Image requirements: JPEG/JPG format at least 1000 px on the longer dimension and not bigger than 2mb each.